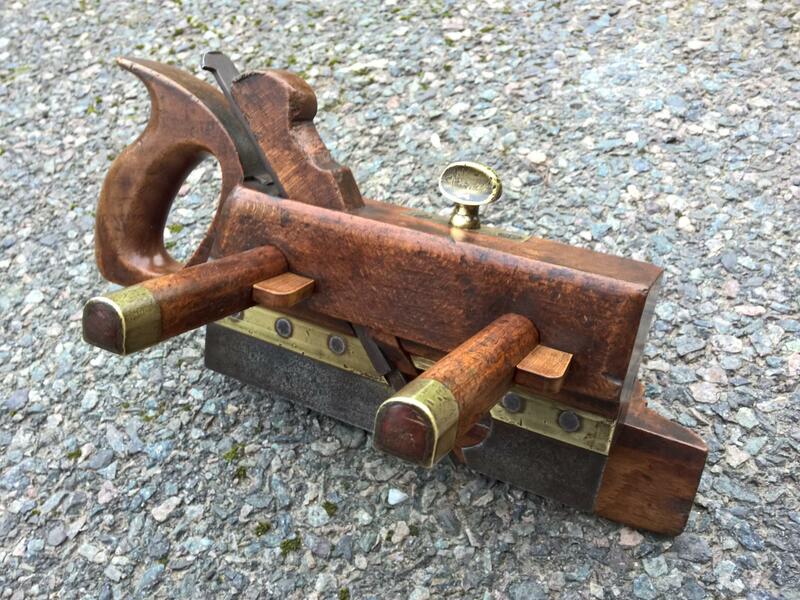 A recent find, a handled beechwood plough plane by Moseley of London. 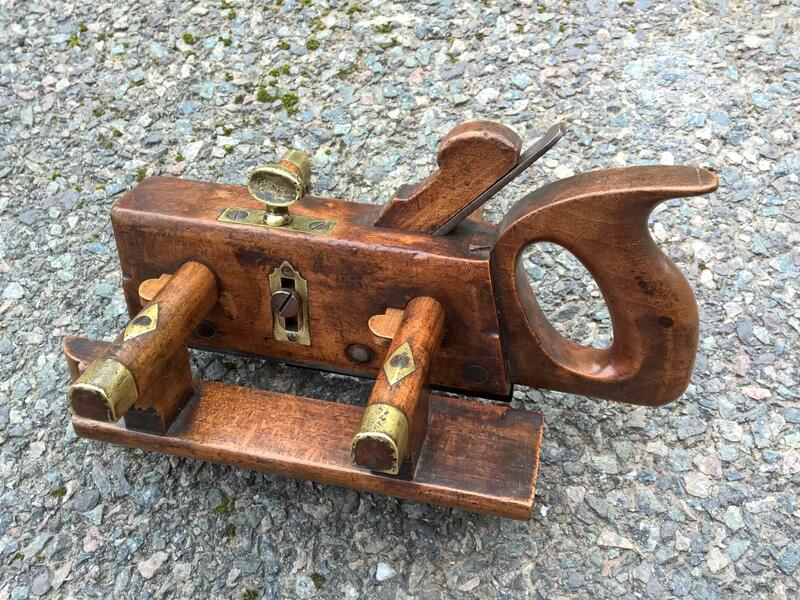 We, and others, have never seen a handled plough by this maker. 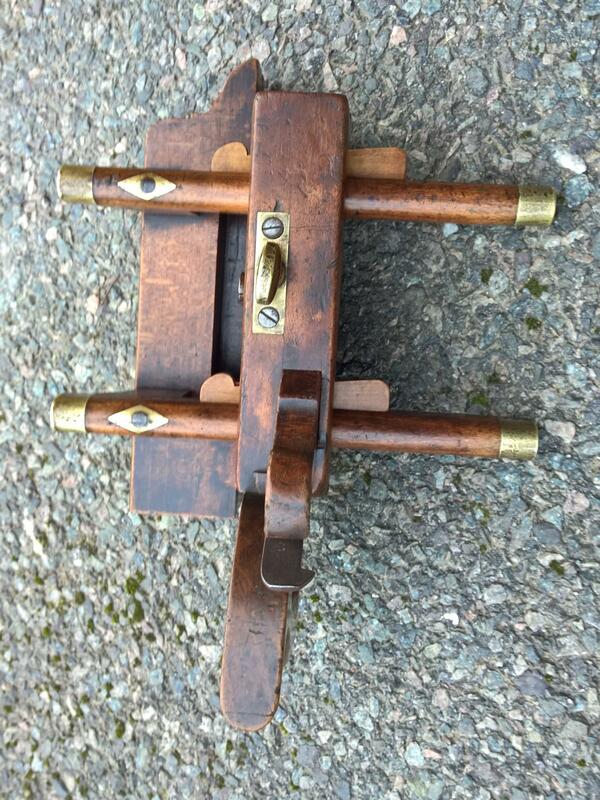 Marked 'MOSELEY & SON KING ST & BEDFORD ST COVT GARDEN LONDON' dating this plane to between 1862 - 1872. 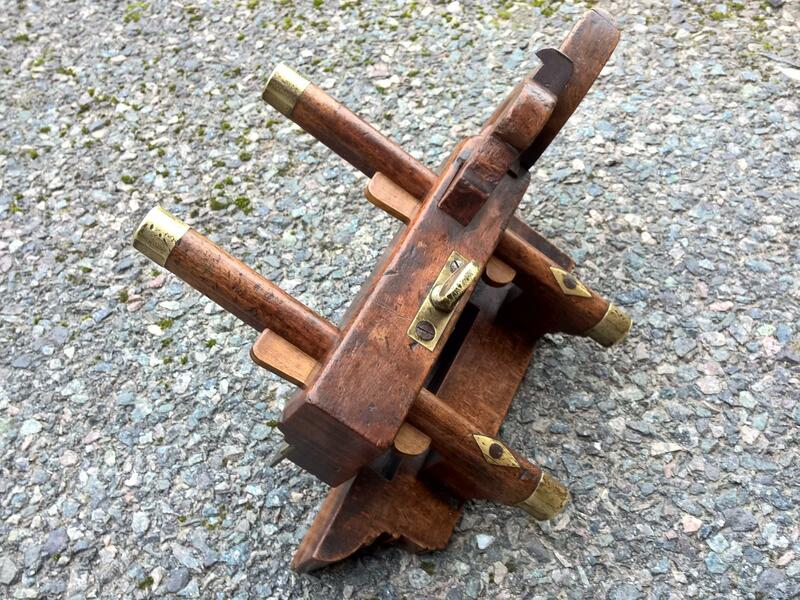 The handle fits into a dovetailed slot at the heel and close inspection indicates that this is how it was made. The chamfers follow through and around the stock and both fence arm keys are positioned to the right allowing enough room for the handle. Also note how close the wedge/blade mortice is to the right side. Possibly a special order plane? Now part of an impressive private Moseley collection.